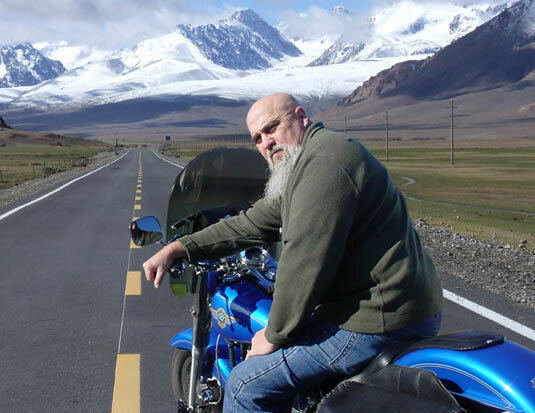 A motorcycle travelogue of Riding, reading and wrenching. 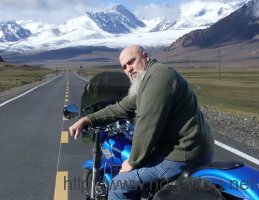 The Hog-Blog started out as a web site where I documented rides, wrenching, and reading related to my Harley, but, since adding a BMW R1200GS to the garage, it now includes trips on the BMW and Adventure riding. I’ve been riding motorcycles off and on since I was a teenager when I cut my riding teeth on Honda 90 Trailmasters and Supersports of friends and family. I purchased my first motorcycle while in the Navy stationed at Pearl Harbor, HI. The Honda 350CL Scrambler was great for commuting to Honolulu and back to the ship and for short rides around the island. While stationed at Pearl Harbor a friend, Fred L., visited me on one of his three day R&Rs from Midway Island. One day we were walking down the street outside my apartment and he pointed out a parked Harley Sportster. It flipped my switch and I wanted one. I vowed to get one after separation from the Navy. I carried the dream with me onto the USS Morton where I mentioned it so often that friends sarcastically gave me the Nom d’Guerre of “Hogman”. In 1973 I was out of the Navy with about $2k in my pocket. I was still determined to purchase a Harley Sportster but a friend showed up one day on an older Triumph. He let me take it for a spin and I liked it. I ended up getting a Triumph Tiger 750 which fit the $2K budget a little better than a Hog did. For the next 9 years I rode the bike as a loner, with friends, and finally a full blown MC. I chopped the bike in 1975 and rode it until 1981 when I traded it in for a boat and family fun. Over the next 22 years I concentrated on family and developing a career until somtime in 2002, at the age of 52, when I realized things were soon coming to a close on this life time and began contemplating how I would like to finish. The desire for a Harley, never requited, popped up #1 on my list of things to do. After some gnashing of my wife’s teeth, she resigned herself to the purchase. I found a ’96 Fatboy the next spring with a little over 5k on the clock, lots of extras, and in excellent condition. I rode her exclusively for the next seven years adding 80k, 49 states, four corners (Madawaska, ME; Keywest, FL; Pt. Loma San Diego, CA; and Neah Bay, WA), and a jaunt up to Alaska and across Top of the World Highway to the clock. During the Alaska ride I rented a Wee-Strom at Alaska Rider in Anchorage and rode the Haul Road to Deadhorse with my buddy who was on his BMW ’06 R1200GS. I found a new world of riding and plotted getting an Adventure bike on my return. I was intent on a V-Strom for the price and lots of good reviews of the bike. Of course, the R1200GS was at, or close to, the top of most folks’ list for an adventure bike but it was too expensive for me. Two things occured that would change the outcome of my search. A Navy buddy I still keep in touch with is a dual sport rider, has owned lots of bikes, and really into BMWs. He was helpful in my search, giving advice and evaluating different bikes I found. Regardless of his recommendation on a particular bike, he consistently recommended I look at the BMWs. So, I did. After finding a couple of older R1150GS”s I sent them to the Navy buddy for approval and to my riding buddy (the guy with the R1200GS) for feedback. They both recommended the bikes but my riding buddy said he knew where I could get an ’06 R1200GS cheap. It turned out that he had decided to sell his ’06 and purchase a new 2010 R1200GS Adventure. To top it off, he didn’t want to mess with selling the bike and planned to trade it in so offered to sell it for what the dealer would give him for it. There were some issues with the bike but it was well worth the price we agreed to. Without his help I would have taken a different route into adventure riding.